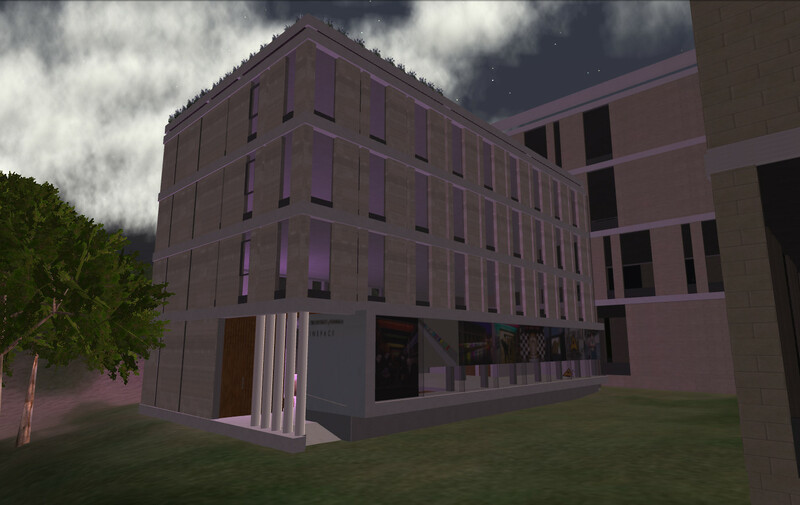 Vue is a virtual educational and research institute bringing together all those interested in the use of virtual worlds for teaching, research and outreach related to the University of Edinburgh. 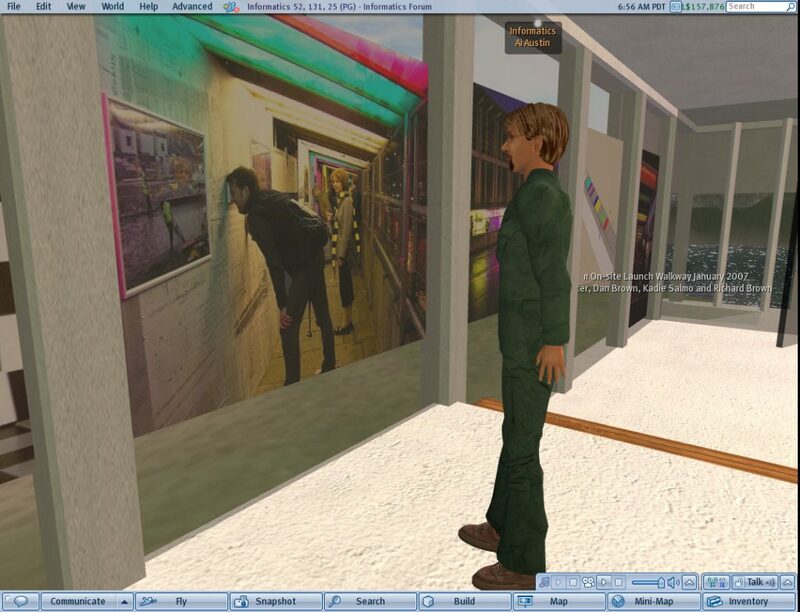 A number of virtual world artworks have been created in the Virtual University of Edinburgh (Vue) virtual world platforms such as Second Life and OpenSimulator. 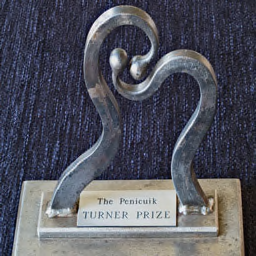 Some are novel pieces of art created collaboratively by members of the University from a number of Schools, others preserve temporary real world art installations which have long since disappeared to preserve their concepts and designs, others honour University members who have won art or photographic competitions with their works. A model of the InSpace Gallery that sits alongside the Informatics Forum was created initially on the Vue regions in Second Life and ported to the OpenSimulator-based Openvue grid and via the OAR Converter tool to Unity3D and Sinespace. Informatics Forum InSpace Walkway: On-site Construction Walkway Art, January 2007. 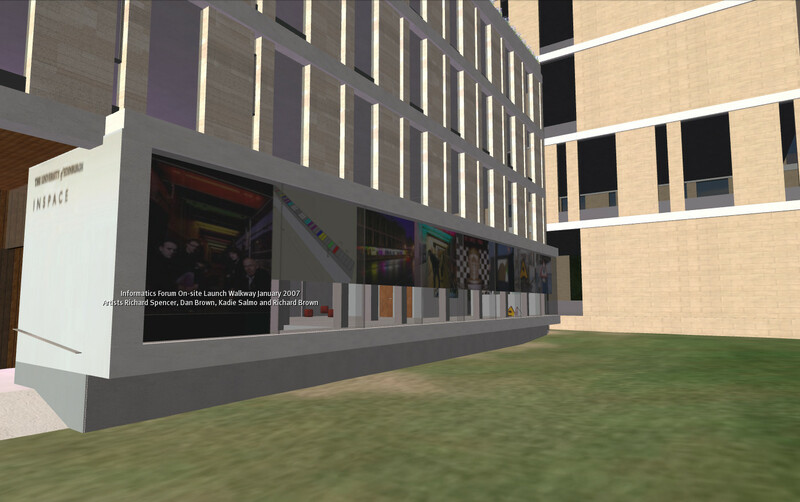 Artists: Richard Spencer, Dan Brown, Kadie Salmo and Richard Brown (Informatics Artist in Residence, 2005-2007). 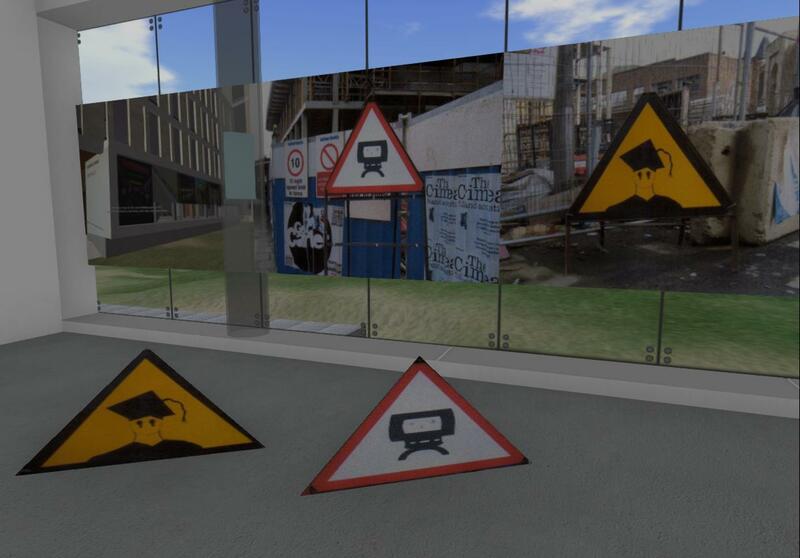 Images and 3D models related to the construction walkway appear in the virtual world InSpace Gallery. 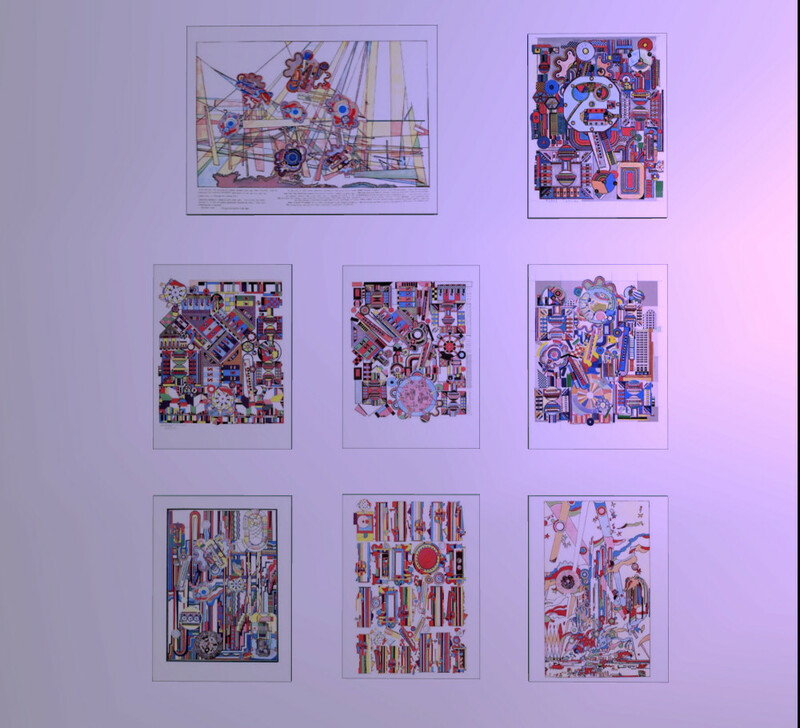 The Paolozzi Turing Prints are displayed in the (real world) level 5 boardroom in the Informatics Forum and appear in articles for promotion of the School of Informatics. 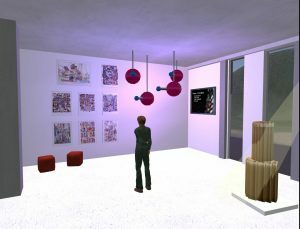 The designs for the prints appear in the InSpace Gallery on the in the OpenSimulator-based Openvue virtual world grid and in the Vue region on the Sinespace virtual world. 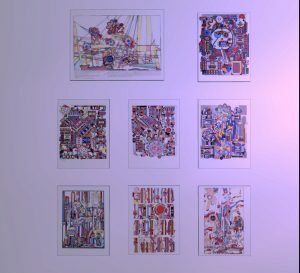 A model of some of Paolozzi’s plaster maquettes used for his sculptures and some stainless steel and bronze sculptures given to the University or on display in the Informatics Forum also appear in the virtual world InSpace Gallery. 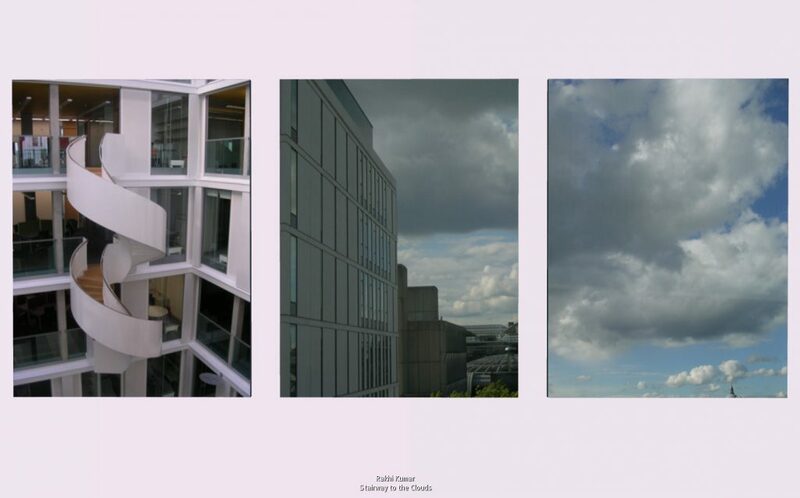 Rakhi Kumar created a number of atmospheric photos of the spiral staircase that sits atop the Informatics Forum. These photographs are on display in the InSpace Gallery. The winning photograph is on display in the InSpace Gallery. Austin Tate (avatar: Ai Austin) contributed an image to an online public collective art venture entitled Ghosts of a Chance which led to an exhibition in 2008 at the Smithsonian American Art Museum’s Luce Foundation Center [Final Report by Georgina Goodlander] [Local Copy]. 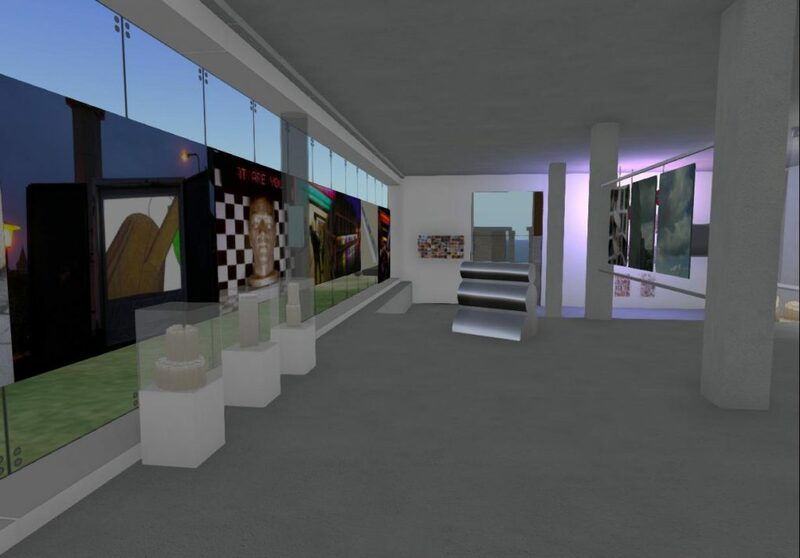 The mosaic is on display in the virtual world InSpace gallery. There is a related MSc project done as part of the MSc in e-Learning/Digital Education in 2011-2012 entitled “I, PI, … Eye“. 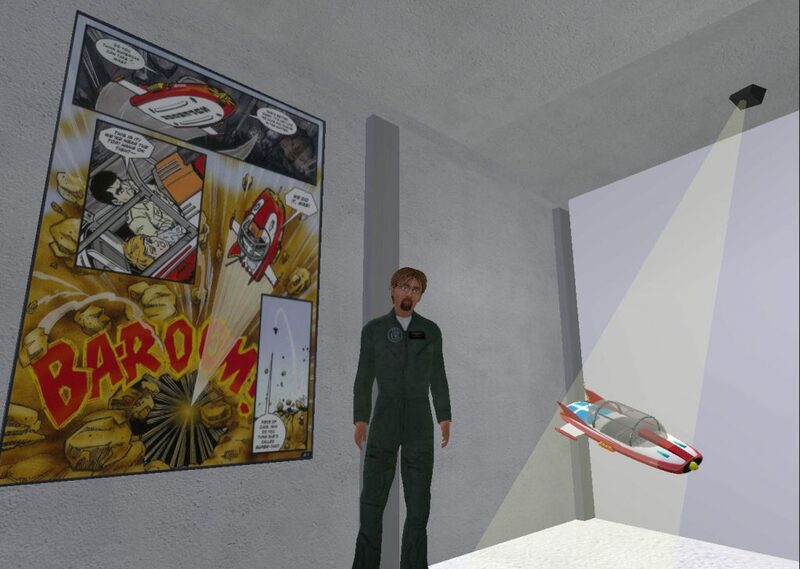 There are many objects placed in the Vue virtual world spaces. Galleries and displays for student projects have been set up annually for some Schools with some of the exhibits being in place for longer periods. 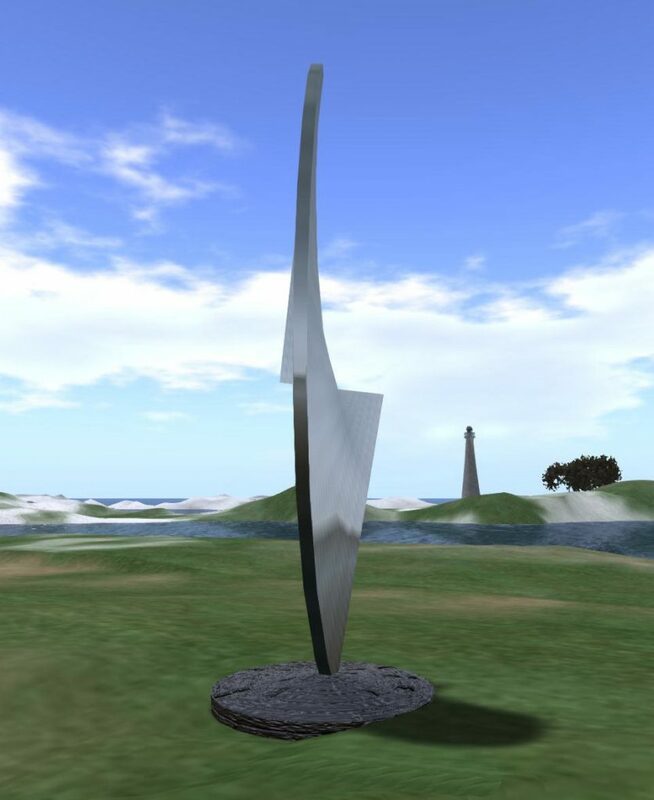 One sculpture was created when the Vue regions on Second Life were first set up in 2007 and it has been replicated on later platforms used for Vue including in OpenSimulator and Sinespace. 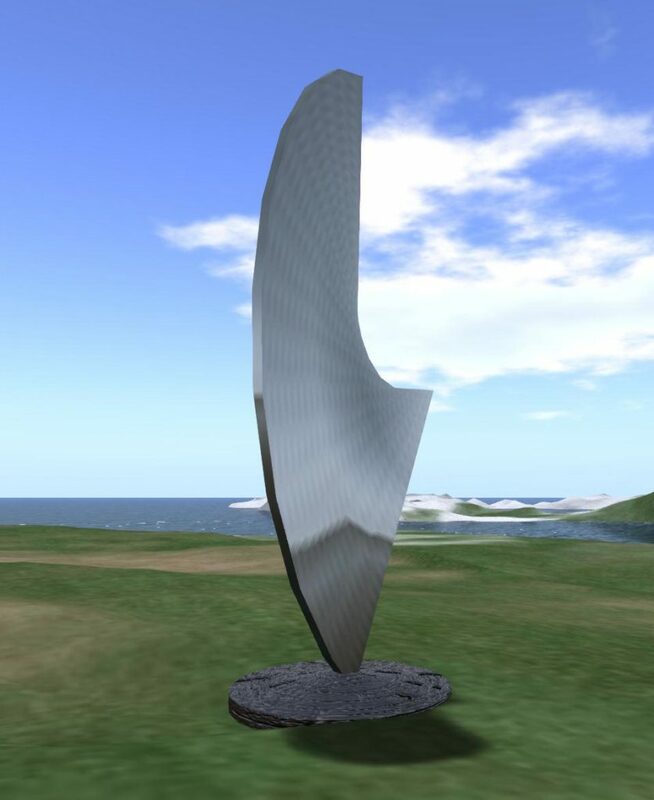 This is at “ACE Sculpture” by James Stewart of Arts, Culture & the Environment. 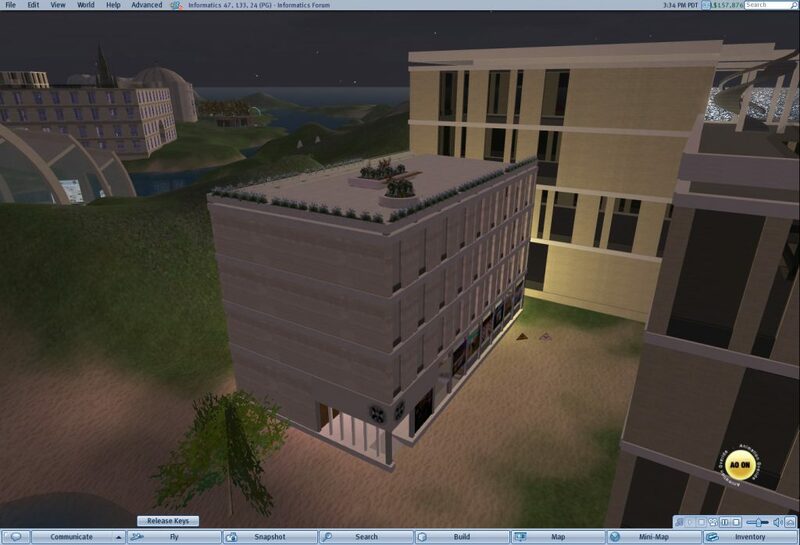 It demonstrated the use of a simple “prim” to build complex shapes using the in-world building and twisting tools, as well as surface texture properties. A trans-media virtual environment interpretation, created by three artists and one virtual world avatar. It is a formation of modular kinetic objects along with accompanying music and images. It includes a version of a “molecules” robotic kinetic sculpture originally designed by Richard Brown, Artist in Residence in the School of Informatics 2005-2007, for the Informatics Forum. 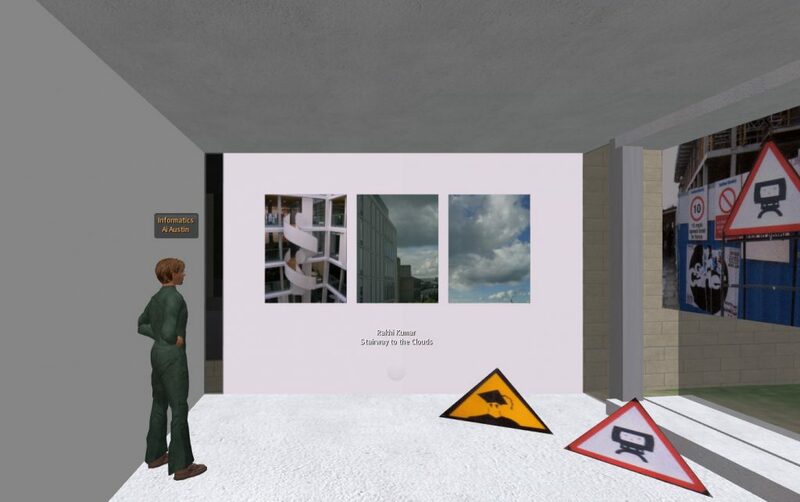 The planned installation was called “Formation” and has been recreated in the virtual world inside the Castle Hill terrain on the Vaults@Vue as part of the art installation. Music was provided by Julian Wagstaff of the School of Music in a piece he suggested called “Treptow“. A multi-media virtual world installation inspired by dramatic landscape and historical events off Flamborough Head in Yorkshire. 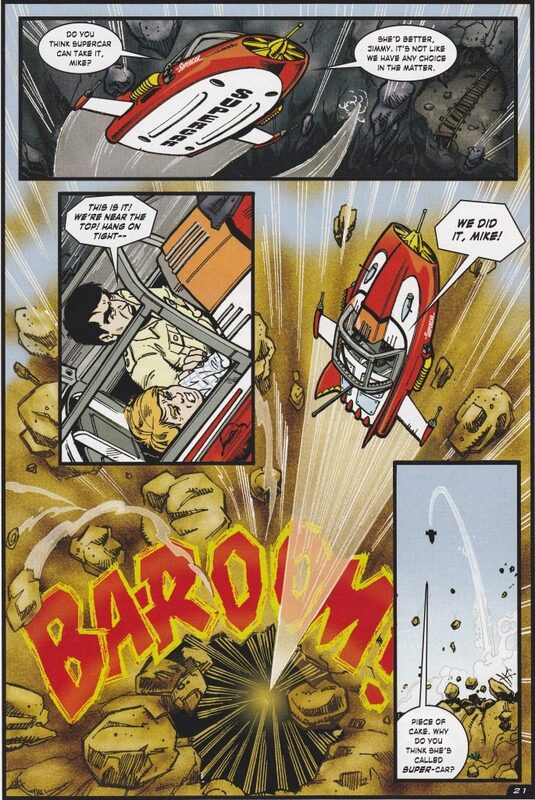 It was inspired by the musical by Julian Wagstaff entitled ” “John Paul Jones” and a piece of dramatic music in that entitled “The Battle of Flamborough Head”. Austin Tate also has a close association with the North Landing on Flamborough Head. The piece includes an in-world controller to activate kinetic movement of objects, waves, coloured lighting, atmospheric and particle effects. A visualisation of the music was created using the Sony PlayStation2 music player visualisation to add to object faces. John Clift, composer and at one time Disney executive and producer, as well as a friend of the University of Edinburgh, kindly allowed us to use one of his compositions as the “Vue Theme”. 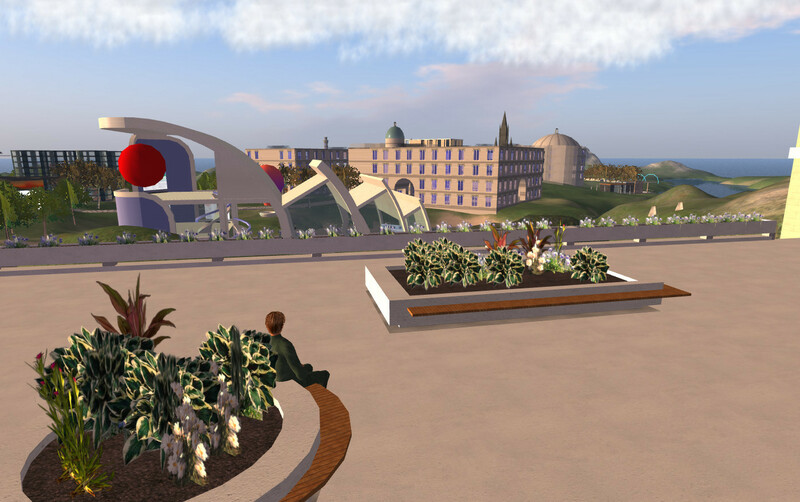 The Vue Theme is used as background music on the Vue facilities in virtual worlds [Vue Theme: John Clift Box 2 Track JC-B2-T08V3 230199.mp3]. 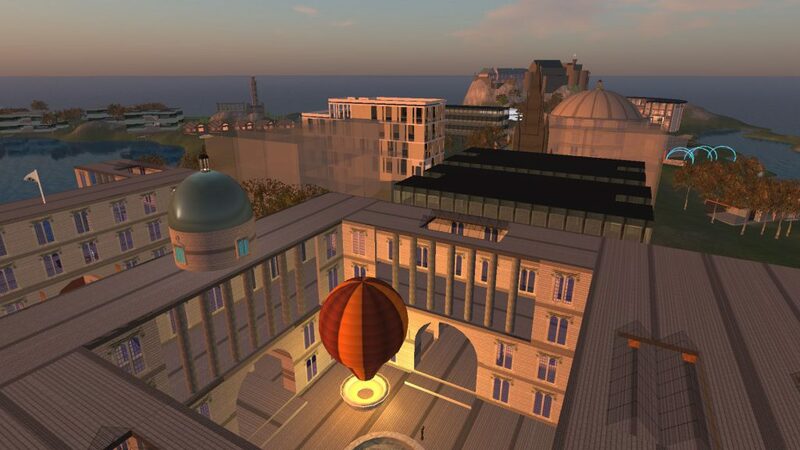 It was used for a machinima created by a team from the School of Informatics (Ai Austin, Anwen Munro, Davie Munro & Skye Gears) in 2008 with a balloon ride over the Vue regions and educational facilities in Second Life. 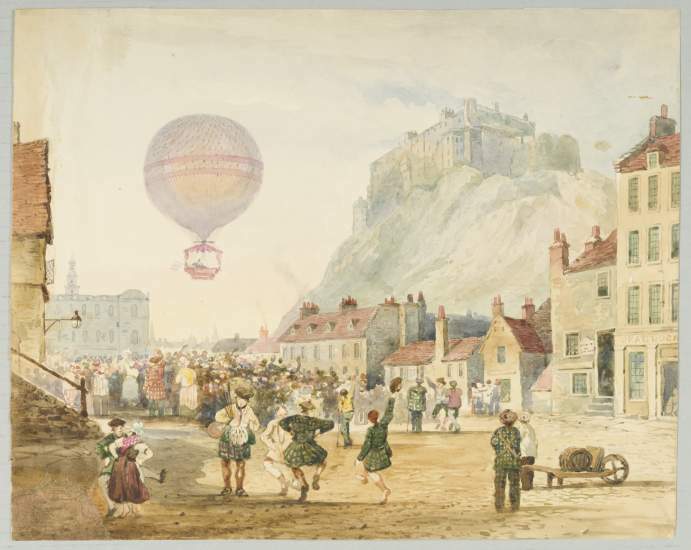 The balloon itself was based on a real life event where a balloon “glow” took place in the University of Edinburgh Old College Quad in January 2006. 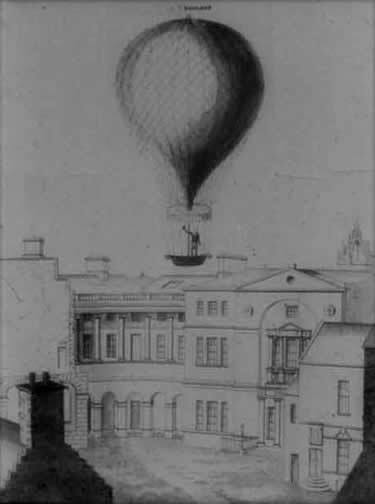 In fact there was an earlier balloon flight over the Old College Quad by James’s Sadler in a hydrogen balloon in 1815. More on his balloon flight is available in an interesting article entitled “Four Fantastic Aeronauts” with lots more images on the Smithsonian Air and Space Museum web site [Sample images used here with their permission]. 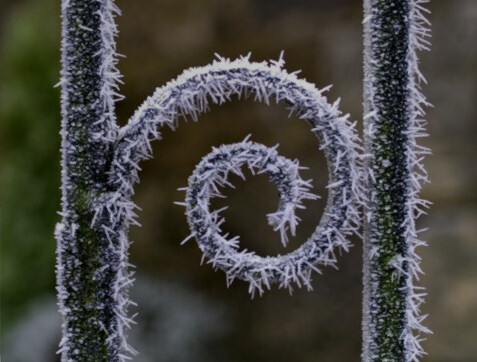 There is an extensive and varied collection of public art across the University of Edinburgh… some documented in an article entitled in an article entitled “Thair to Remain”** in the The University of Edinburgh Bulletin Staff Magazine, December 2017. ** The inscription on which the title was based was noted by the Bulletin Editor as corrected to “Thair to Reman”. 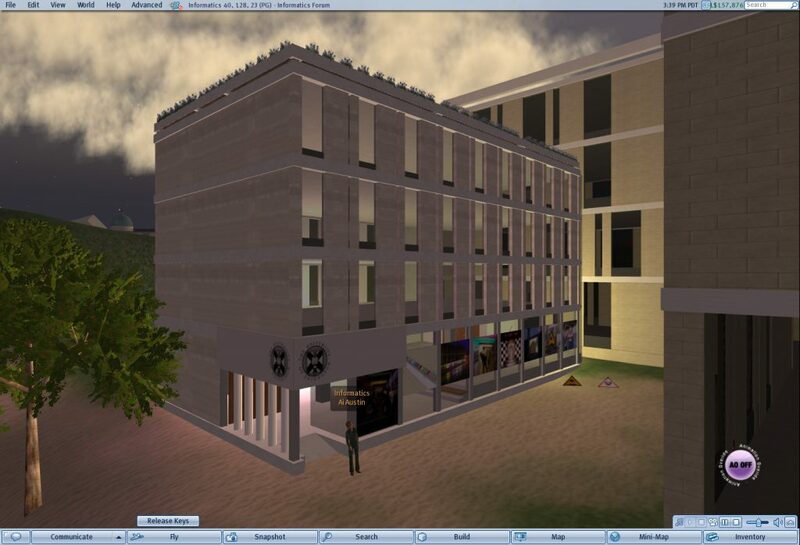 This entry was posted in Edinburgh, Virtual World and tagged Art, Edinburgh, Virtual World, Vue. Bookmark the permalink.